Contoured Changing Pad Discounts Apply ! 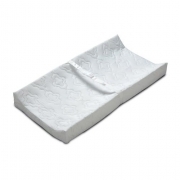 The contoured changing pad is a great way to make any place safe and convenient to change diapers. Pad covers are also available in a variety of colors.